Google Android Panimage 7" Color Touchscreen Tablet With 2GB Memory, WiFi, Camera & Micro SD Card Slot $59.99 Today Only!!! 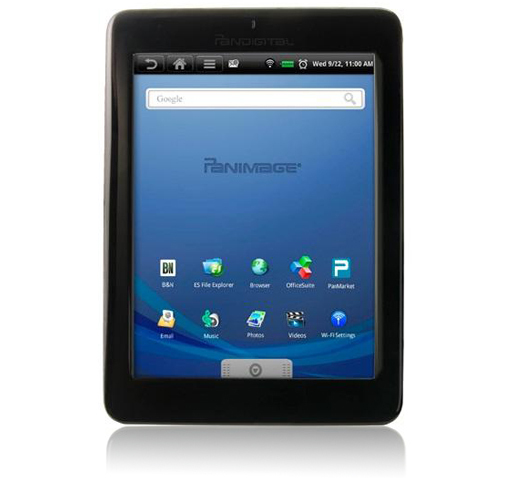 The Panimage Tablet features a 7-inch touchscreen with automatic screen reorientation. Internal 2GB memory is expandable with a microSD memory card slot. WiFi is built in, along with a camera, microphone and stereo speakers. The Panimage Tablet run on an Android OS with media player and web browser apps preinstalled. This product has a list price of $279.99, that's a savings of 79%! Plus you get FREE Shipping! There are also some other great offers today! Check them out, this is one of my stores that I check on a daily basis!!! Saving money while getting Christmas presents and not even leaving the house, now that is what I call a deal!!!! 5 Great Deals, only 24 Hours! Get them before they're gone at 1SaleADay.com!